Many early settlers buried here. Location. 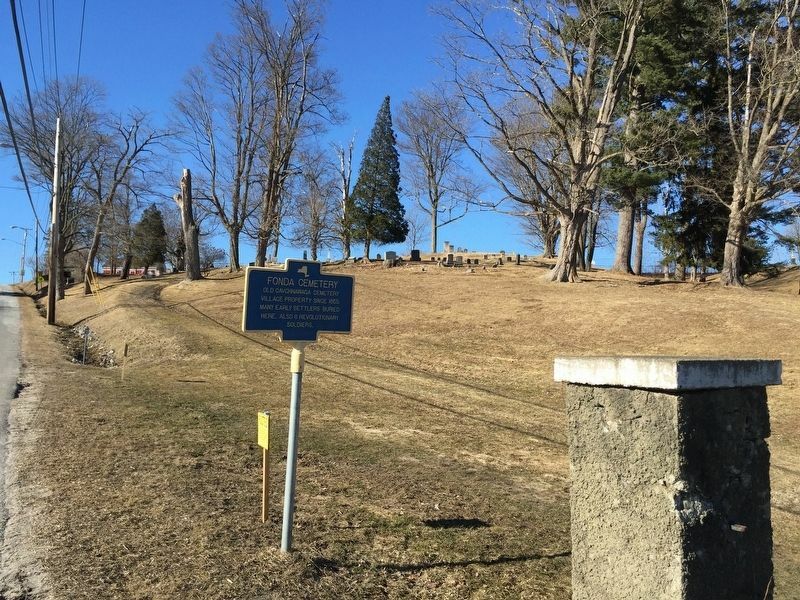 42° 57.395′ N, 74° 22.112′ W. Marker is in Fonda, New York, in Montgomery County. Marker is on Cemetery Street, on the right when traveling north. Touch for map. On right when going up the hill. Marker is in this post office area: Fonda NY 12068, United States of America. Touch for directions. Other nearby markers. At least 8 other markers are within walking distance of this marker. Caughnawga Church (about 800 feet away, measured in a direct line); Douw Fonda (approx. 0.3 miles away); Court House (approx. 0.4 miles away); The 115th & 153rd Regiments (approx. 0.4 miles away); Caughnawaga 1667 - 1780 (approx. half a mile away); Tryon County 1772-1784 Montgomery County 1784 (approx. half a mile away); Fonda (approx. half a mile away); Major General Richard Montgomery (approx. half a mile away). 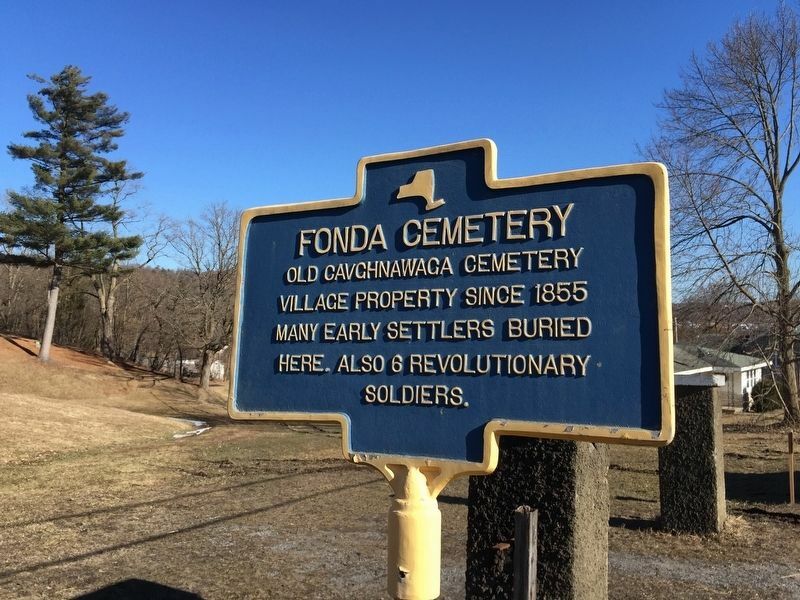 Touch for a list and map of all markers in Fonda. More. Search the internet for Fonda Cemetery. Credits. This page was last revised on March 25, 2019. This page originally submitted on March 24, 2019, by Steve Stoessel of Niskayuna, New York. This page has been viewed 75 times since then. Photos: 1, 2. submitted on March 24, 2019, by Steve Stoessel of Niskayuna, New York. • Bill Pfingsten was the editor who published this page.